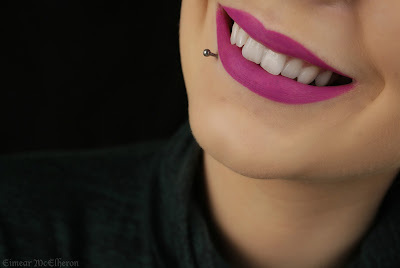 You might remember that recently I reviewed one of the Urban Decay Matte Revolution lipsticks, well now the company have released liners to match! A fantastic idea and will be very helpful to those of you out there that have trouble matching up lipliners to lipsticks. Lip products come in different shades, tones and textures so it can be a tricky one to figure out. Urban Decay have now made that process simpler, all you have to do is simply select a shade of lip liner and then locate the matte revolution lipstick with the same name and you're good to go! 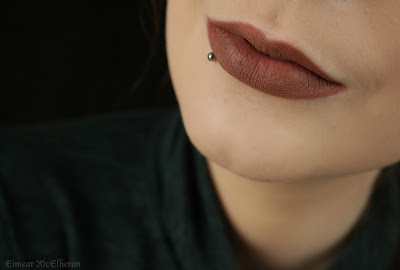 The 24/7 Glide-On Lip Pencils come in 16 different shades and I have three of them in my collection so today I'm going to give you my two cents on Urban Decays latest releases. First up we have Bad Blood. 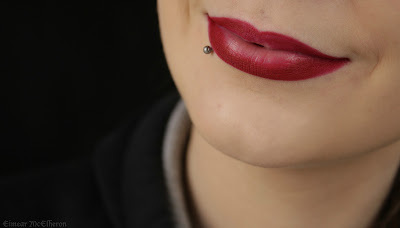 This is a gorgeous deep red shade that sets to a matte finish. Next up we have Bittersweet. 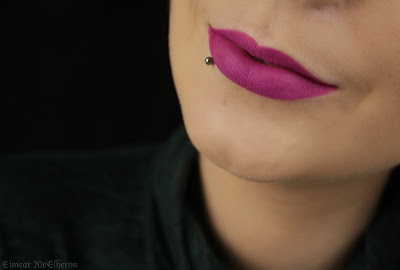 This is a vibrant fushia shade that has a cool undertone and sets to a matte finish. Finally then I have the shade 1993, which I can imagine is going to be extremely popular. 1993 is a medium brown shade that also sets to a matte finish. Urban Decay describe these pencils as creamy liners and they are just that. The pencils are soft and creamy making them glide onto the lips very easily, they don't pull or drag across the lips. However while they are soft, they aren't too soft that they crumble up on the lips. You can still get a nice sharp and defined lip line using these pencils. All of the pencils that I own set to a matte finish. As my lips are usually quite dry, it is more so evident that my lips are dry and cracked when I wear these lip liners. It isn't noticeable when I'm smiling or talking but when I'm resting my face it is more evident, as you can see from this photo below. 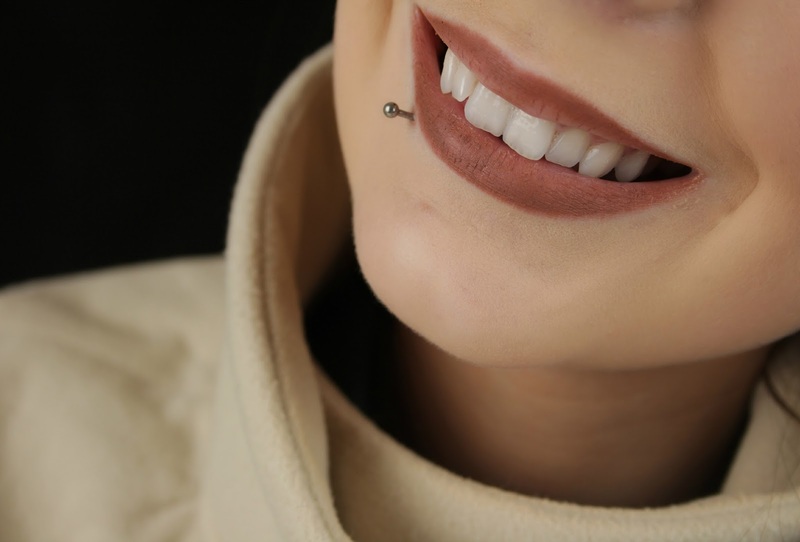 If you have dry lips like myself and you want to wear the lip liner on its own I would suggest to really prep the lips beforehand, this will ensure a nice smooth and even appearance. While my lips are dry I didn't find that the lip liners added to that, they didn't dry my lips out further and they weren't uncomfortable to wear. 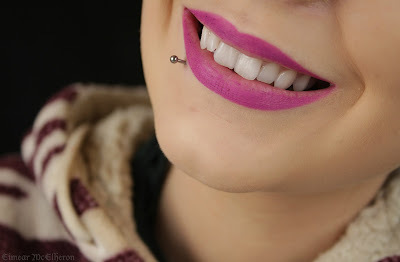 If you are wearing the lip liner on its own your lips will feel a little tacky but its nothing major. To eliminate the tacky feeling I add a very light dusting of translucent powder. This sets the liner in place and takes down the sticky feeling but it doesn't alter the colour of the product. The lip liners are very pigmented and are long lasting so they can be worn on there own or as a base for another lip product. From the application photos you can see that all three lip liners performed more or less as well as each other. Bad blood perhaps performed a little better than the other two, only slightly. The colour didn't fade as much during the day as the other two shades but a little more product lifted from the centre of my lip. I tested them all for a period of eight and a half hours each because Urban Decay state they have an eight hour wear time. 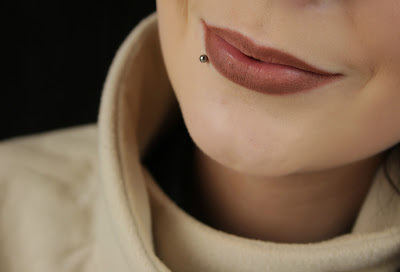 With eating and drinking throughout the day all of the lip liners only wore down in the centre of the lips, which isn't too shabby in my opinion. The lip liners stayed pretty much in tact until the six hour mark with some fading of colour throughout the day. After the six hour mark the liner started to flake and fade off completely in the centre of my lips. As my photos are extreme close ups it is very noticeable that the lip liner has worn in the centre of my lips but if we were having a conversation in person it isn't overly obvious. I tested out the lip liners as a base to see how they would perform and I wasn't disappointed. As I only own one of the Matte Revolution lipsticks and its not a shade that matches any of my lip liners I tested the lip liners with lipsticks from other brands first. They lasted on the lips for the full eight hours with just some fading to the colour, I wasn't left with a patchy appearance to my lips. 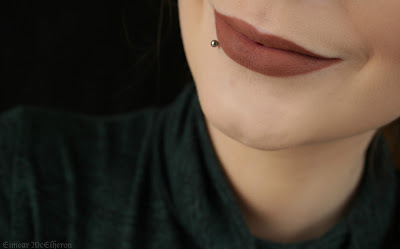 I was curious then to see how the Matte Revolution lipstick would perform with the lip liner so I paired my shade 'After Dark' with the 'Bad Blood' lip liner. It didn't matter that the colours differed slightly because I was applying one on top of the other. 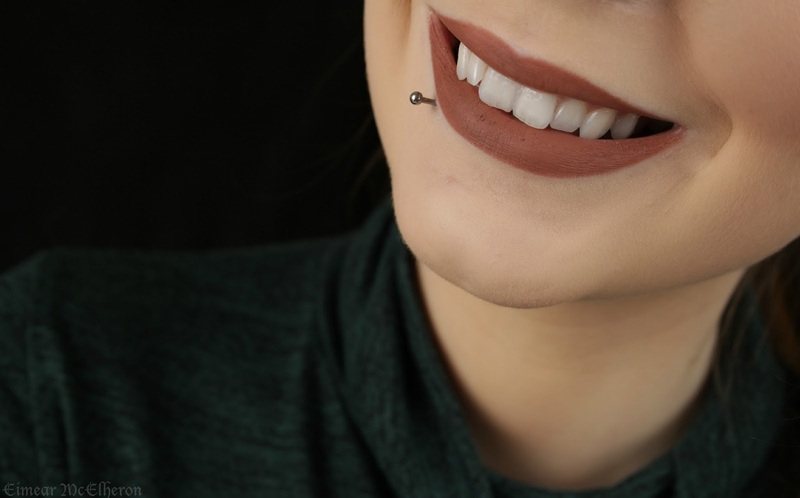 Like with the other lipsticks, the colour of the lipstick had faded at the end of the day but I didn't have any product missing from the centre of my lips like I did when I wore the lip liner on its own. Either way I'm extremely pleased with how the lip liners perform both on their own and as a base. On there own they don't live up to Urban Decays eight hour claim but six hours is good enough for me. I enjoy them more so when paired with a lipstick on top, the products last longer! 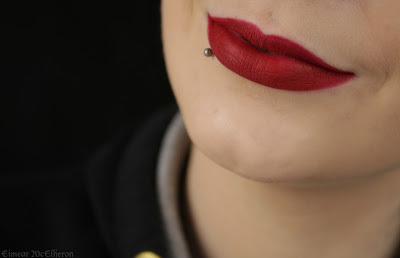 I'm equally as impressed with the 24-7 Glide-On Pencils as I am with the Matte Revolution lipstick, I'm really looking forward to picking up more from the range especially a matching pair! The Urban Decay 24/7 Glide-On Lip Pencils retail at €18.50 and are available from Debenhams online and instore. 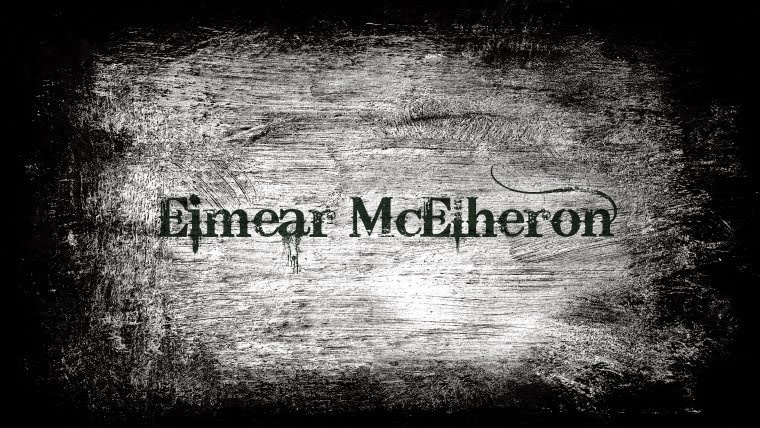 For a direct link you can click here.